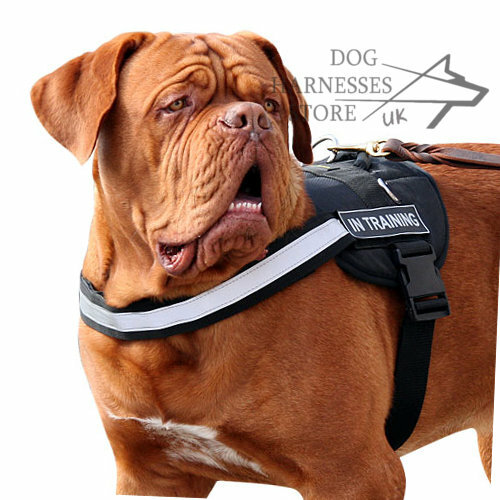 Probably our reflective dog harness is the best outfit for canine work in police, service, rescue and sport. 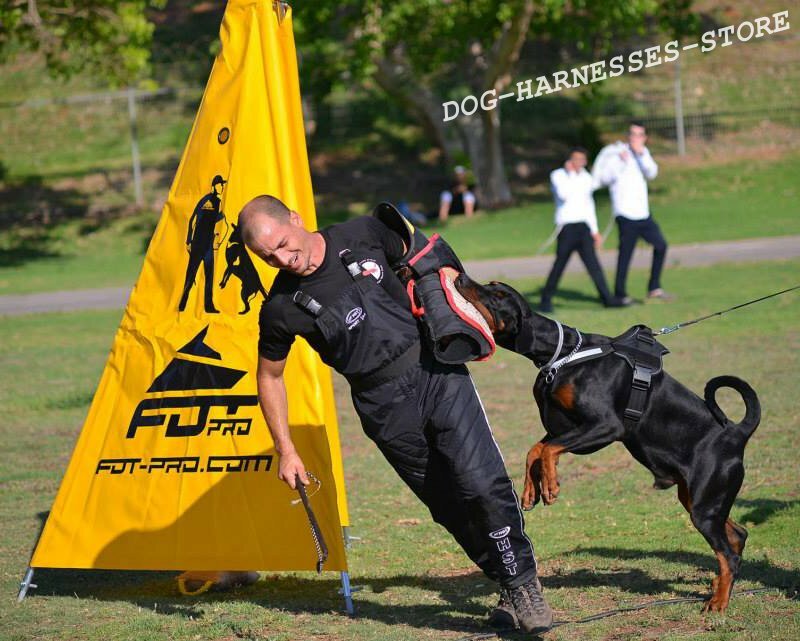 It can be used for everything from tracking to carting. 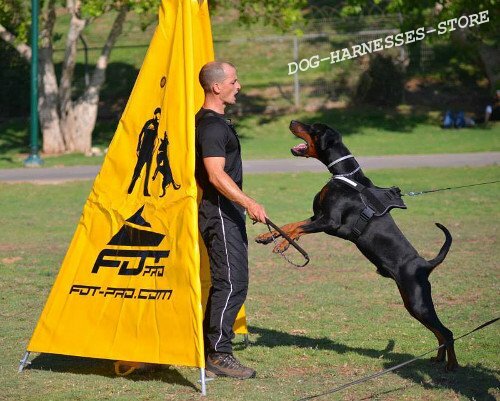 Every aspect of this nylon dog harness is constructed to provide utmost comfort and durability. 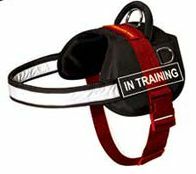 This dog harness is made of quality super strong 2 inch nylon. It can be adjusted in two places to get a perfect fit for any size service dog. The nylon walking dog harness has 3 heavy-duty D rings that will last for a lifetime. 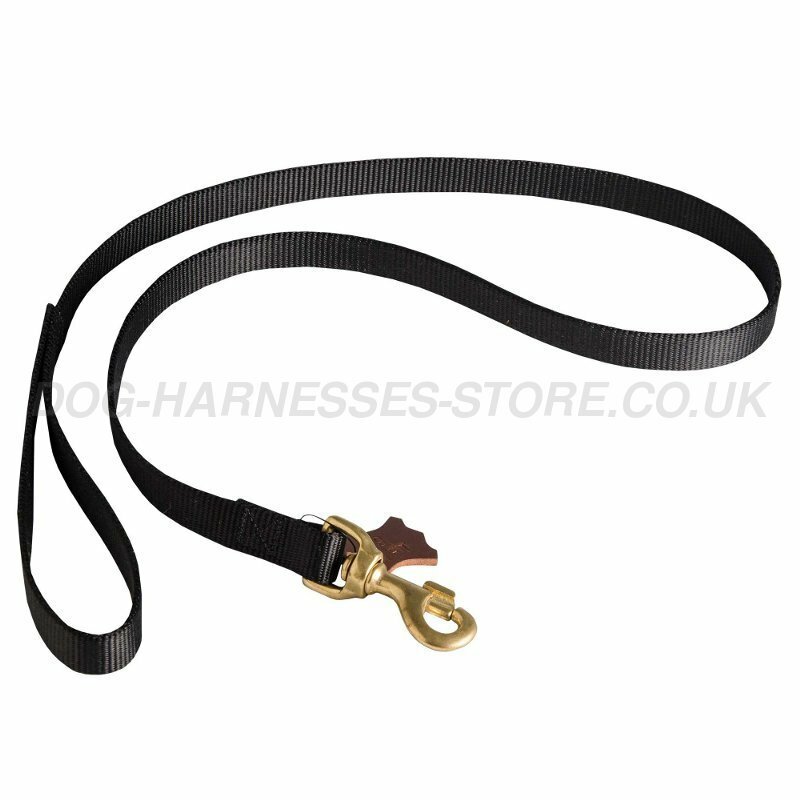 The 2 inch snap allows the harness to be taken on and off very quickly by the handler using just one hand. 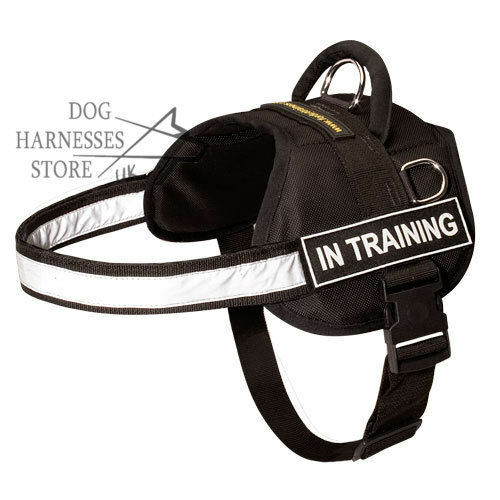 Carry heavy duty stitched handle gives additional control over your dog. 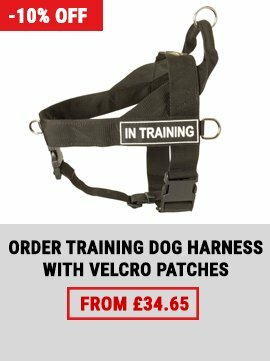 Choose the most functional harness for daily activities in all weather! 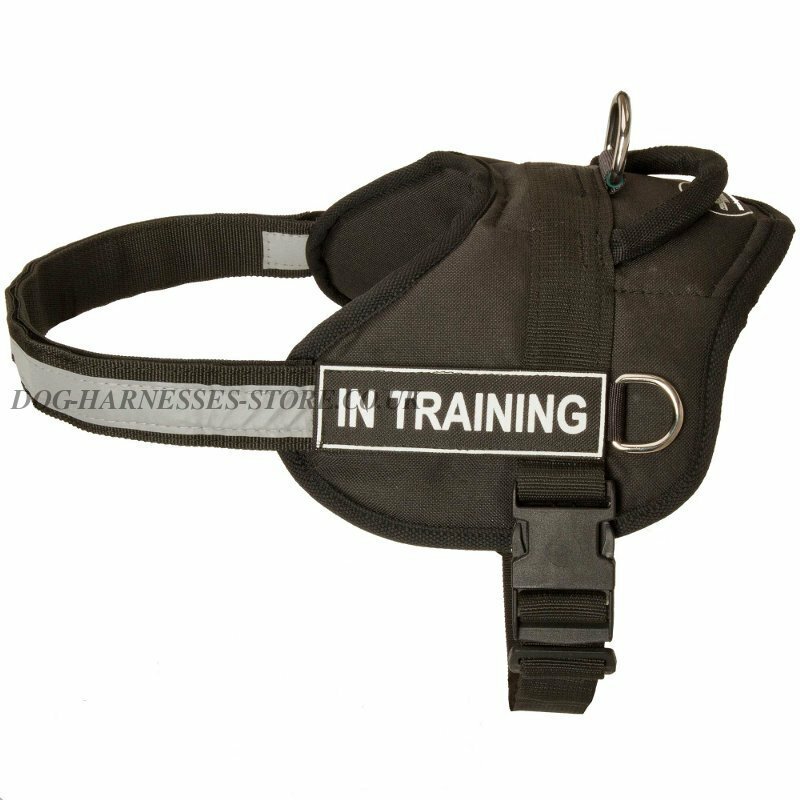 Reflective Nylon Dog Harness with Patches "In Training"
Madam, regarding comments, I am perfectly happy with your service, shipping was rather fast in view of a weekend on the 1st of November. 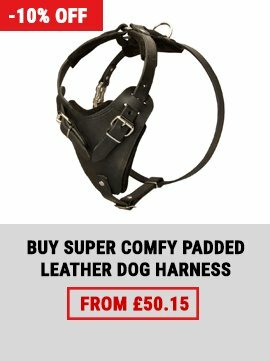 The products I bought from you are of good quality. 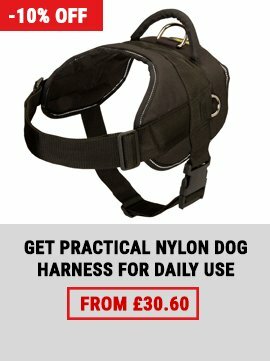 Nice communication and surprise of 20% discount for my second purchasing. 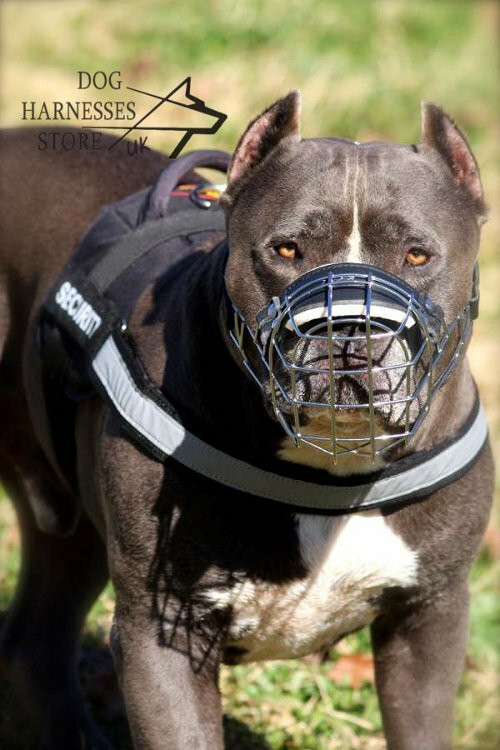 That is why I will recommend you and will buy in your online store again without hesitation. I will send you photos with pleasure when I take them.